vehicles loaded with duplicators, projectors and CDs..
Buenas Nuevas (GRN Mexico) is now inviting people to the Culiacan Project. 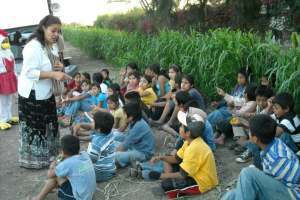 The Project is held during February each year, in Culiacan, Sinaloa. 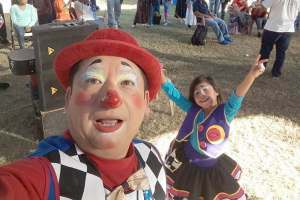 The minimum participation is two weeks, and you need to be in Culiacan the Sunday before your first week. 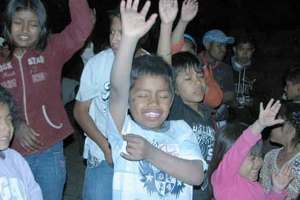 "We anticipate another great year ministering to thousands of migrant workers drawn to the fertile fields of Culiacan. 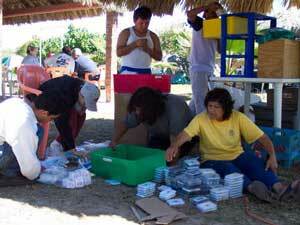 Each year we give out over 6000 CDs in 130 languages, and see God touch thousands of people. 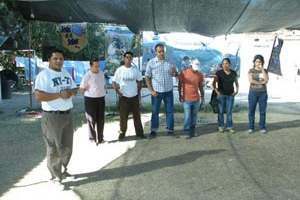 Over the years dozens of churches have been planted among the villages represented in Culiacan." The cost for the Project is US$50.00 a week room and board, plus your transportation to Culiacan and money for incidentals. We accept donations to cover the cost of native pastors who can't pay their own way. Remember to bring your Bible, sleeping bag, flashlight, modest clothes, walking shoes, and a wrap for the cool nights. 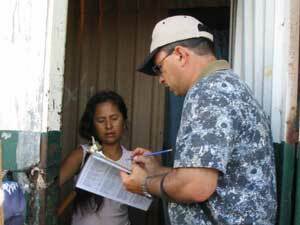 Pray that God lift up new team members for Buenas Nuevas. Pray that people's hearts be prepared to hear God's word in their language. Pray for good weather for the work, not too hot or cold or wet. For more information contact GRN in Mexico or USA or Australia. 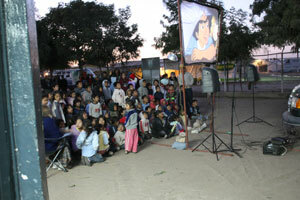 This year in the fields, we distributed DVD's, containing audiovisual Good News . . .
Over 3,600 names were written down of those who made a decision for Christ. 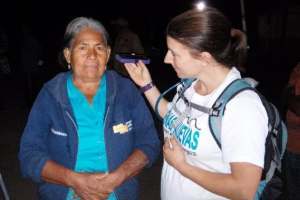 A letter from Beth, one of the participants of the Culiacan outreach in Mexico. In January every year teams have visited thousands of workers in Culiacan, bringing words of hope and life. 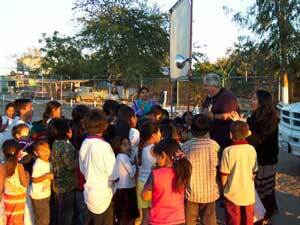 The Culiacan Project - A day in Campo Esperanza - A typical day in the Culiacan Project - kids, kids and more kids! 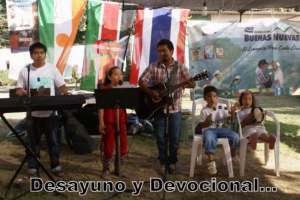 Mexico, Culiacan: A Divine Appointment - "As he talked, he could see her eyes light up in amazement. She excused herself and came back in a few minutes with a tape."